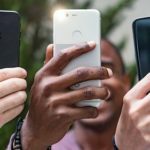 Google unveiled its all-new Pixel and Pixel XL smartphones earlier this month, and now, as the handsets are about to hit the stores, it’s time for the journalists who have been lucky enough to have tested them to share their opinions about the Google-designed and HTC-manufactured device. Yes, it’s review roundup time! As it turns out, Pixel has received mostly favourable reviews, which gives the handset a great start and positions it well against its main competitors: the iPhone, Samsung’s flagship devices and other high-end Android smartphones. Since the Note 7 is now dead, it remains to be seen whether brand loyalty will be enough to keep Samsung users in the ecosystem, or if they will make the jump to either the iPhone or Pixel. We’ve gathered a handful of reviews; check them out below. As a lifelong Android user, I couldn’t wait to try the Pixel. It’s different than other Android phones, because it’s the first handset centred around the company’s artificial intelligence; the same omnipotent intelligence that’s vacuuming up information about you every time you use a service like Gmail, Google Maps, or Google Calendar. The “Google brain” learns your habits over time, and can help you find important information faster. The problem is that Google’s AI is too stupid to be meaningfully helpful at this stage. 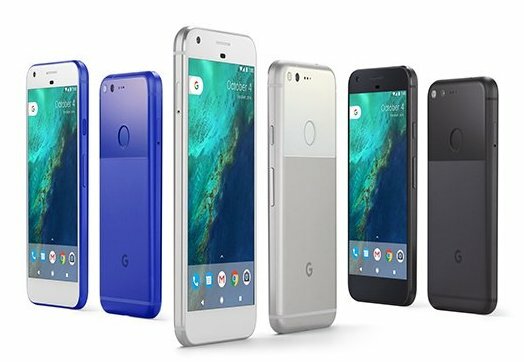 Google’s ambitious new smartphone, the Pixel, doesn’t offer a lot that’s new. Yet it’s still one of the best out there. Google achieves that by pulling together the best features from Apple, Samsung and other phone makers and offering them at prices comparable to iPhones — starting at about $650 for the regular, 5-inch model and $770 for the 5.5-inch “XL” edition. One reason is the phone’s superior screen. The AMOLED display makes photos look better; even ones taken on an iPhone. Blacks are deeper, colors are more vibrant and the higher pixel density makes everything sharper. The camera also performs better in low-light situations, compared with the excellent cameras in the Samsung Galaxy S7 and iPhone 7. In testing, its photos had more dynamic range and color saturation. The only noticeable tradeoff is that some Pixel night shots have more noise (digital graininess). This is Google’s first phone, and for a first effort it is remarkably good. By almost every metric I can think of — speed, power, camera, smart assistant, you name it — it matches or exceeds the best phones available on the market today. And though the design is far from groundbreaking, it’s certainly approachable. The whole package is pretty incredible, and if you’re not put off by the premium price, you’ll be very happy with this premium phone. I prefer the XL, which isn’t huge and seems to get notably better battery life. – The Pixel’s fingerprint sensor, for unlocking the phone, is annoyingly on the back of the device rather than on the face. So when you’re on the go, you will probably be using two hands — one to hold the phone and the other to place your fingerprint on the back — to unlock the Pixel. – In speed tests run with the mobile app Geekbench, the Pixel was about 20 percent slower than both the iPhone 7 and the Galaxy S7. I’ve always been an iPhone guy, honestly. But I’m switching. For real. I’m turning off iMessage, re-buying apps, and warning friends that I probably won’t get their texts for a few days. I am a little worried about Google’s long-term commitment to this new hardware push (and the customer support that comes with it), given its propensity for killing products that don’t get billions of users. But I’m totally in love with the Pixel. I love this camera, I love Google Assistant, I love that I’ll get to use it with a comfy VR headset, I love that I finally get a version of Android that is both powerful and attractive. I love that there’s a kickass Android phone that (probably) doesn’t explode.